For projects that require registration, IC issuance takes about 15 working days. For projects subject to evaluation, IC issuance time is likely to vary. Projects not requiring the Prime Minister’s approval take 20 to 25 working days, while projects that do need such approval take approximately 37 working days. Public announcement of company establishment. *Charter capital is the amount that shareholders contribute within a prescribed time limit, as stated in the company articles of association. Charter capital can be used as working capital to operate the company. It can constitute 100 percent of the total investment capital of the company, or be combined with loan capital to form the total investment capital of the company. Both charter capital and the total investment capital (which also includes shareholders’ loans or third-party finance), along with the company charter, must be registered with the license-issuing authority of Vietnam. Investors cannot increase or decrease the charter capital amount without prior approval from the local licensing authority. Capital contribution schedules are set out in FIE charters (articles of association), joint venture contracts and/or business cooperation contracts, in addition to the FIE’s investment certificate. Members and owners of LLCs must contribute charter capital within 36 months of the date of IC issuance. To transfer capital into Vietnam, after setting up the FIE, foreign investors must open a capital bank account in a legally licensed bank. A capital bank account is a special purpose foreign currency account designed to enable tracking of the movement of capital flows in and out of the country. The account also allows money to be transferred to current accounts in order to make in-country payments and other current transactions. 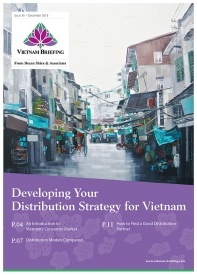 Portions of this article were taken from Asia Briefing’s guide “An Introduction to Doing Business in Vietnam.” This new 32-page report touches on everything you need to know about doing business in Vietnam, and is now available as a complimentary PDF download on the Asia Briefing Bookstore! I am trying to set up a company in HCMC Vietnam to hire some white collar talents from China. We got the talents ready. We now need the company set up. Do you have any Chinese-speaking consultant based in HCMC? we are a chinese company . need to open an import and export company in vietnam . Thank you for your comment about setting up a trading company in Vietnam. One of our professionals will contact you soon in order to discuss this issue with you. 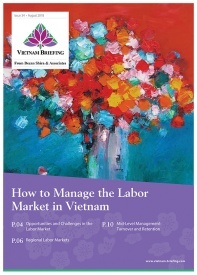 In the meantime, please take a look at our most recent magazine on sourcing activities in Vietnam, you can download it here. Hi, I would like some professional help and advise in setting up a company in Vietnam. I’ve recently started a trade company based in the United States. We would like to start selling in Vietnam, however I am running into dead-ends with finding a solution that would allow for us to deposit our sales into a Vietnam bank or international bank and then wiring the funds back to the US based bank for operations and additional purchases. On a side note, I’ve done quite of research on this topic. It seems like the only possible solution is to set up a joint stock company in Vietnam (subsidiary of the US based company), and have it’s own bank account. Then maybe we’re able to wire funds from the sub to the parent company. Any leads or advise would help. Thank you for your comment about setting up a company in Vietnam and dealing with the intricacies of transferring funds out of the country. One of our professionals will contact you soon in order to discuss these issues with you. 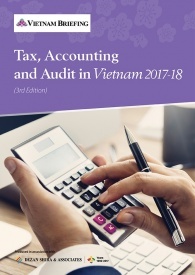 In the meantime, please take a look at our most recent magazine on sourcing activities in Vietnam, you can download it here.